According to the Center for Disease Control and Prevention, 32,635 births occurred in Illinois in 2016. Each year, many women become mothers for the first time or all over again. In each birth, the ideal outcome is to have a healthy mother and an equally healthy baby. One way that this goal can be achieved is by taking prenatal vitamins. Eating a healthy, balanced diet is the ultimate way to get the nutrients you need during pregnancy. But, there are times when you don’t hit the required numbers for vitamins and minerals. For example, food restrictions either by lifestyle choice or intolerance can lead to deficiencies. Prenatal vitamins can help bridge those gaps. Prenatal vitamins are like other supplements in that they supply certain vitamins and minerals in specific amounts. They are, however, unique in two aspects: folic acid and iron. Prenatal vitamins contain more folic acid and iron that the usual multivitamin. Folic acid is a type of Vitamin B is essential during pregnancy, particularly in the early months. It helps lessen the occurrence of neural tube defects like anencephaly and spina bifida. Its benefit is staggering – it can reduce the risk by up to 70%. Other effects include reducing the risk of cleft lip and palate as well as some heart defects. Folic acid does not just help the baby. The mother also benefits. There is evidence that it lowers the risk of preeclampsia, a complication in pregnancy that results in high blood pressure and damage to other organs like the kidney and liver. Taking folic acid is a rare situation where the supplement is better than the folic acid that is naturally derived from food. Synthetic folic acid is absorbed better. Prenatal vitamins also contain iron to encourage the baby’s growth and development. Iron helps prevent having a baby that is too small for the gestational age. Also, failure to get enough iron in the body can lead to iron-deficiency anemia, which can increase the risk of pre-term delivery. Anemia occurs when there are low levels of healthy red blood cells. Earlier is better when it comes to prenatal vitamins. In fact, women who are trying to have a baby should start taking vitamins even before they conceive. Folic acid is vital in the early stages of pregnancy. Some studies have shown that taking prenatal vitamins prior to conception can reduce the severity of morning sickness during pregnancy. The “pre” in prenatal can be a bit misleading. It is recommended that women take the vitamins during the entire pregnancy. In fact, your doctor might even recommend taking them after giving birth, especially if breastfeeding. The vitamins will help replenish the nutrients lost while feeding the baby. Are there any side effects to taking prenatal vitamins? Pregnancy can wreak havoc on the balance of hormones. It can cause an aversion to food or drink. Prenatal vitamins are not immune to this effect. Some women can experience sensitivity to it, either because of taste or smell. It can trigger queasiness or nausea. Another side effect of prenatal vitamins is constipation. It is caused by the iron content. To offset this situation, take plenty of fluids and high-fiber food. Inform your doctor if you are experiencing any side effects. Another kind of supplement that suits your needs better may be prescribed to you. What nutrients do prenatal vitamins contain? Vitamin B Complex. Vitamin B comes in many forms, like Thiamine, Riboflavin, Biotin, and Folate. All of them are important, but Folate tops the list because it creates the red blood cells and proteins for DNA. It can also prevent birth defects. Vitamin B can also support the mother’s health during pregnancy by boosting the immune system and preventing digestive issues. Antioxidants Vitamin C and E. These antioxidants help produce collagen, which is the essential component of bones and skin. They also help the immune system. Vitamin D. Vitamin D is taken for bone health and the regulation of blood pressure. Calcium works on both the mother and child. The baby needs calcium to develop bones while the mother needs it to prevent bone loss during pregnancy. Zinc lessens the risk of low birth weight and premature delivery. Magnesium and Potassium. These are electrolytes that not only helps with hydration but also positively affects muscle contractions. Iodine. Iodine is vital in the production of the thyroid hormone. This hormone is important in the brain development of the baby. An iodine deficiency can lead to brain damage, miscarriage, or birth defects. There is no such thing as a complete prenatal vitamin. It is because each person is different and has different needs. Depending on the content of your prenatal vitamin and your own health, you might have to take something extra. 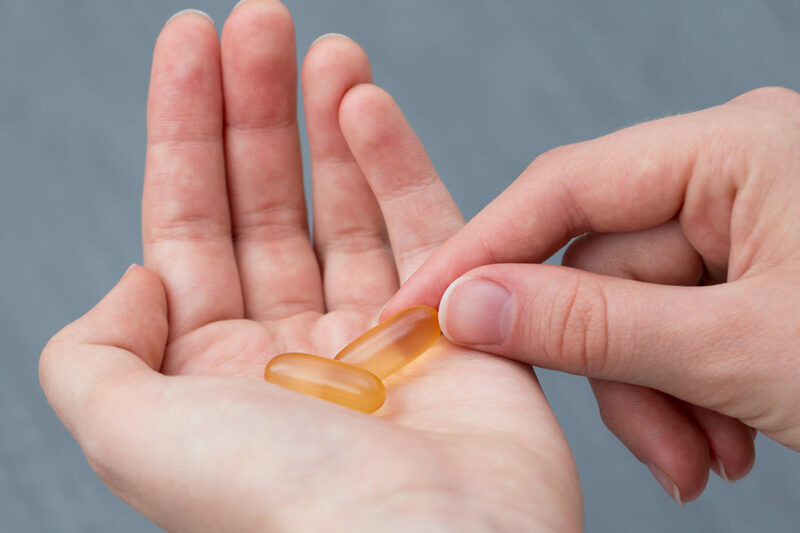 An example of the need for additional supplements is with Fatty acids like DHA and EPA. These are not typically found in prenatal vitamins. However, they are important because omega-3 fatty acids are necessary for the development of the brain, eyes, and nerves of the baby. You can typically get omega-3 fatty acids from fish. But, since mercury from fish is a concern during pregnancy, supplements may be the best option in some cases. Another example is calcium. Calcium is precious during pregnancy because both the baby and mother need it. Although most prenatal vitamins contain calcium, supplements might be needed. Vitamins typically contain 100 to 200 mg of calcium, but this quantity might not be enough. How can you tell which prenatal vitamin should be taken? The Food and Drug Administration does not regulate the use of prenatal vitamins. The responsibility of choosing which one to take falls on the shoulders of both the mother and the healthcare practitioner. Remember that the vitamins are there to assist with your nutrition. Your main source for vitamins and minerals should be in the food and drink you consume. Lifestyle and eating habits should be taken into consideration when thinking about which prenatal vitamin to take. For example, if you have a history of anemia, additional iron supplements may be given. If you are lactose intolerant, the amount of calcium you take might need to get amped up. It is important to discuss which vitamins you are taking with your health practitioner. They can help assess your health and suggest how to provide the nutrients you need during pregnancy. Another reason why discussions with the doctor are important is that they can inform you of the risks. Just because something is good for you does not mean that it is good for you in all situations. For example, Vitamin A is essential, but its dosage should be considered. Birth defects can result from too much Vitamin A during pregnancy. Much of pregnancy is spent planning. You plan for costs. You plan for a nursery. But the most important aspect is to do what you can to ensure a healthy birth experience. Fortunately, you have a partner in this time of preparation. Peoria Women’s Health offers complete gynecologic and obstetric services. We can help you, starting with finding the right prenatal vitamin all the way to postpartum care. Find out more about us at our website or by calling (309) 692-2805 to schedule an appointment.